Sarawak’s headliner tourism attraction – the Rainforest World Music Festival (RWMF) – will include Tai-Chi, yoga, and other health and fitness activities. Music tourism. Cultural Tourism. Indonesia's #1 festival for music and arts, We The Fest is to be held at the Jakarta International Expo in Jakarta, Indonesia, in July and will feature some 40 acts from across the global pop, hip-hop, bass and indie musical spectra. The Cradle Mountain Film Festival is coming once again to Tasmania’s pristine wilderness, from 29-31 March 2019. The unique festival is based in one of the world’s most amazing untouched wild places, the Tasmanian Wilderness World Heritage Area. A regular favourite for the central Malaysia crowd, the regular Good Vibes Festival will happen this year on 2-3 March 2019 at The Ranch, Gohtong Jaya in Genting Highlands just a couple of hours drive from the capital. UK smoothies Honne will be headlining this year. Courtesy Good Vibes. This year will see the sixth rollout of the Good Vibes with back-to-back headline shows by English electronic music duo HONNE and Irish rock band Kodaline. The rest of the lineup has not been revealed, but judging by the 2018 cast it should be good. Last year saw global names like Lorde, alt-J, Nick Murphy and Majid Jordan. The venue, The Ranch, is the open air part of the Highlands development, with stunning views and a guaranteed warm climate for attendees. The venue also offers food and other entertainments (like horse riding) if you get tired of the fantastic music. There is also the usual giant playground with plenty of puerile attractions for those that want to regress. Plenty of swings, see-saws, slides, and bouncy mats and bags, plus a Trampoline Frenzy. As if that wasn’t enough, expect goodies like last year’s hipster happenings like airbrush tattooing and beard growing (OK, we made that last one up). 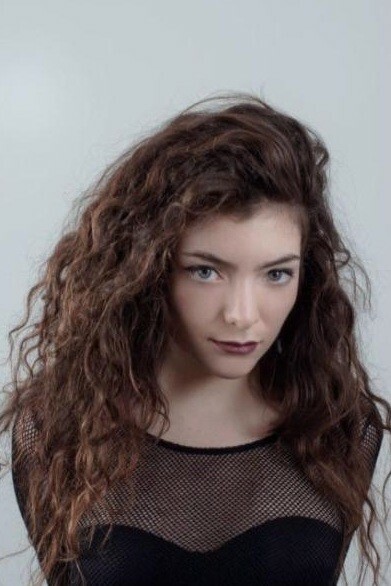 Kiwi sensation Lorde played GV last year. Courtesy Good Vibes. Just in case it rains (it will still be warm! ), the organisers will provide wooden walkways to avoid Glastonbury-style mudwalks. They have also upped the count of tables, benches and rest areas for the players that want to just hang out rather than swarm the mosh pit. The new entrance location will also help with an easier, faster entrance queue, they say. And best of all, the festival will aim to be as carbon neutral as possible in the catering areas at least, with a blanket edict to stallholders to dump the plastic and replace all disposable cutlery, plates and serving materials with biodegradable utensils instead. Great news! Tickets start at RM120, and go up to around RM200. The organisers are restricting attendees to 18+. Eco-consciousness continues to be part of this year’s Singapore Writers Festival that will bring together critically-acclaimed writers, thinkers and performers across literary genres in Singapore from 2 to 11 November 2018. Strawberry Fields Festival is a three-day music and arts festival looking to welcome up to 8,000 audio and experiential visitors to the tree-lined Murray River banks, with art installations, music, workshops and food to keep your mind fresh. It can get pretty cold in southern Tasmania in the winter – so why not have a festival with dancing round a bonfire, drinking cider, singing and evoking ancient spirits? The Huon Valley MidWinter Festival will scorch your blues away, for sure. Head East for one of Asia's favourite world music festival that takes place in the rainforest of Sarawak and features the best of cultures from there, and beyond. The Pohoda Festival in Slovakia is a music event with the emphasis on space, sound and the universe. And there is lots of nice green grass to sit or lie on as you listen. Sarawak’s homegrown jazz stage is set to introduce acts from Poland, Italy, Switzerland, Belgium and Japan, in addition to Asian musical favourites. Mallika Naguran tunes in. MIRI, 2 May 2018. Jazz fans can look forward to a full three-day musical extravaganza at Borneo Jazz in Miri, Sarawak. The 13th annual edition of the jazz festival will be held from Friday 11 May to Sunday 13 May 2018, organised by Sarawak Tourism Board for 13 years now. But three things are different this year. First, there’s a change in venue. Borneo Jazz will be held at the Coco Cabana, Marina Bay – bigger, better with more room to sit, dance and walk around by the seaside of Miri town. Next, the programme is arranged by the folks behind No Black Tie of Kuala Lumpur. The festival director Evelyn Hii is the founder of the famous jazz club that has seen a healthy stream of visiting famed musicians pass through, placing jazz prominently on the Malaysian map. Incidentally, Hii was born in Sarawak. Third, it will be a three day event for the very first time. Borneo Jazz typically features recognised musicians from local and international jazz scenes over two days, and this year will be no different all through a mega weekend, from Friday to Sunday. Around 30 bands or acts can be enjoyed through if one gets the entire festival pass. A wide repertoire of jazz genres can be expected at Borneo Jazz 2018 with international acts from Poland, Italy, Switzerland, Belgium and Japan along with Asian jazz greats. Check out the programme here. Borneo Jazz 2018 will have high energy and versatile performers with internationally acclaimed artistes such as the Swiss-French ensemble Chris Stalk Quartet, Italian vocalist Cecilia Brunori, Chinese saxophonist Gaoyang Li, multi-talented Polish artist Grzegorz Karnas, Cuban band Havana Social Club featuring Lazaro Numa. Acclaimed Asian performers include Jeremy Monteiro, Singapore's 'King of Swing'; Az Samad, a guitarist, composer, and educator who has recorded with Flaco Jiménez and Max Baca; KL’s own soul queen Elvira Arul; and the iconic Michael Veerapen. Jeremy Monteiro will be leading the 18-piece Jazz Association of Singapore Orchestra (JASSO) on Friday night. Jazz vocalist Cecilia Brunori will entertain on Sunday night. Cecilia Brunori’s repertoire of performances ranges from performing at festivals in Italy including one of the largest jazz festivals in the world, Umbria Jazz Festival. She is currently working on an album with a well-known jazz pianist and composer, Danilo Rea. Every night, post concert, a jam session will be held. Especially on Saturday, following Havana Social Club’s gig at 11:45 pm, make your way to the jam venue at 1 am to mingle with the performers. What has not changed about Borneo Jazz is its outreach programme, where aspiring musicians can learn the basics of jazz musical instruments from professional musicians. Watch and listen to the winning Borneo participants of the Borneo Jazz Talent Search on Sunday. So there you go, these are the three reasons to go to Borneo Jazz 2018. Do you know of any more? Add them here by leaving a comment! The Festival includes night performances with sitting and dancing areas and a wide lawn for night picnics surrounded by arts, crafts and food stalls. As a resort city, Miri offers a wide range of accommodation from international class hotels to budget inns, good beaches and dozens of lively restaurants, pubs and bars. Visitors going to this cosmopolitan city of Miri can visit the Lambir Hills, the historical Niah National Park located just an hour or two away respectively. Check out the Piasau Nature Reserve and the reforestation story by jazz musicians. And if you are a scuba diver, the dive sites in the Miri-Sibuti Coral Reefs National Park beckons. The nearest dive site is a mere 15-min away, just off the coast of the city. Fly to Kuching or Mulu for other true Sarawakian cultural and adventure holidays. The winter solstice marks the shortest day in winter, and the time to slaughter greedy animals and hoard stocks of grain. Tasmania’s MOFO organisers have changed things slightly and organised an invigorating swim instead. In freezing waters. In the dark. Dragon Boat racing is becoming an increasingly popular sport for city dwellers. But its origins go back hundreds of years to a Taiwanese poet who attempted to drown himself. Voilah! – a French-Singapore celebration of the arts, culture and science will take place from 1 April to 5 May at various locations in Singapore. Once known as “The Most Remote Village in the British Empire”, Bario stages the best food festival in Borneo. Reachable only by plane unless you are a very brave jungle trekker, it is a true breath of fresh air. Singapore’s signature light art festival will run from 9 March to 1 April 2018 with sustainability as a major theme. The showcase of 22 local and international light art installations will take place in Marina Bay and Esplanade Park. Sony Pictures Television Networks And The United Nations Foundation Launch The Picture This Festival For The Planet To Showcase Emerging Filmmakers. Submissions For Films To Promote Sustainable Development Goals Close on 30 April 2018. From eco-poetry, social consciousness to civic imagination in the midst of dystopia, the Singapore Writers Festival had poets, writers, illustrators, filmmakers and literary critics come together to deal with urgent global and contemporary issues. From tree planting, recycling to food waste composting, Sarawak's headliner Rainforest World Music Festival is demonstrating commitment to reducing environmental impacts. A commentary by Mallika Naguran. Having announced that it would “green the festival”, Sarawak Tourism Board began tree planting in 2010 that soon became a yearly affair. This typically involves getting participating musicians and members of the media to plant coastal seedlings or mangrove saplings in sensitive areas such as the Kuching Wetlands National Park under the guidance of local forestry department. Commercial companies such as Shell and Petronas typically chip in as sponsors. At times we were asked to wear sponsor caps when posing for photos before getting our hands and feet muddy. The Board has in the last two years moved on from mere tree planting (some called it green washing) to countering carbon emissions and waste management. I could not be happier, having frequently suggested and even proposed to assist with the greening of the festival since 2008. At media conferences, I posed questions to the organisers on the festival’s environmental impacts, not necessarily to put them in a spot but to urge responsible actions. Musicians and media of RWMF get into nature conservation at Kuching Wetland National Park in Sarawak, as part of the festival's environmental commitment. I recall us journalists being horrified when an organiser beamed in responding to my question that the waste generated at the festival were not a problem at all as they were all sent for incineration, recyclables included! How things have changed. Why is it important to green RWMF? Borneo’s famous world music festival takes place within the forested area of Santubong and by the South China Sea - two areas with different ecosystems. Considering the scale of deforestation that has already taken place primarily due to the growth of oil palm plantation, Sarawak needs to safeguard its amazing wildlife that can only survive with natural habitats. Moreover, hosting a mega event that draw 15,000 to 20,000 festival-goers yearly over three days have huge impacts in many ways – from the amount of energy, water and food consumed to the amount of waste generated (solid, liquid, non-recyclables), plastics manufactured (made from oil, chemicals and poison creatures when dumped in the forest or sea), to greenhouse gas emission (causing global warming). Caution has to be made, however, on face value ‘green’ options. For instance, the use of shuttle buses to transport people from Kuching to Santubong is wonderful as it reduces car population and carbon emission. But powering up such shuttle buses with biofuel (a 2016 initiative) may not be a good idea. By avoiding fossil fuel, RWMF could indirectly encourage deforestation, fire-related carbon emission and land conflicts due to the use of palm oil in the fuel mix. Sustainability is not confined to materials though. The social aspects of running a festival are integral to uphold local traditions, cultures, art and talent. This aspect is well taken care of as the venue of the festival itself—the Sarawak Cultural Village—epitomises the lifestyle of Sarawakian tribes at the various ethnic longhouses. On top of that, booth spaces are allocated for local craftsmen and social entrepreneurs, including upcycled materials; Biji Biji handcrafted bags are made out of car seat belts, which are fashionable and friendly to Mother Nature. A new initiative seen in 2016 was the dealing of waste at the festival grounds—a first since RWMF began 19 years ago. Malaysian social enterprise Biji Biji was engaged to handle waste management, which involved the placement of bins for recyclables and food waste, the sorting of solid waste types, and public awareness. The Rainforest World Music Festival turns food waste into compost with the help of student volunteers. Along with 24 student volunteers, they collected waste bins for segregating, weighing and processing. Some of the food waste (195kg) was turned it into layering compost that went to a farmer in Kuching, while others (135kg) went to a worm farm. Under a partnership with Worming Up, food waste was fed to worms, which got plumped up with the fresh protein, and in turn fed to farmed chickens that end up on dining tables. Circular economy in action! Still there were problems in executing the plans, mostly by stallholders not fully understanding the need to segregate waste and by festival participants dumping waste in wrong bins. This meant that a greater amount of waste could have been saved from the landfill. This setback could be better handled if there were opportunities to educate stakeholders well in advance. Still, other areas need attention. Importantly, a clear vision is needed to induce sustainability within the festival’s DNA instead of the current band aid treatment. Comprehensive strategies should support this vision, tackling the full range of impacts in a number of ways—creative beyond conservative—with defined outcomes. The official website is also a good medium for education and to urge festival goers to act responsibly while having fun. Will RWMF get greener on its 20th anniversary in 2017? “For this year, we have plans to work with our City Council for the simple reason that we want the involvement of the locals in this state event. Last year’s start on waste management was an eye opener and we were happy with the results. This also attracted the interest of the international community,” said Angeline Bateman, Events and Corporate Relations Director of Sarawak Tourism Board. Bateman hits the nail on the head by seeking to engage communities in making RWMF greener. After all it would be in the interest of Sarawakians to have safe, healthy and ecologically vibrant places to live in. Making public sustainability plans and asking for feedback are good for transparency and community involvement. These are steps that ought to be taken before RWMF can sufficiently command fame as a responsible, world-class festival. The writer is Gaia Discovery publisher and sustainability consultant. Photos by Mallika Naguran and Biji Biji. Relevant articles on Gaia Discovery. Singapore, 5.6.17. South African bands Abavuki and Kelele will be performing at the Rainforest World Music Festival (RWMF) on July 14 to 16 this year at the Sarawak Cultural Village. This year will be the 20th edition of the Rainforest World Music Festival since its humble beginnings in 1998 in Kuching, Sarawak. It will be an all-day event spanning three days, beginning with daytime mini sessions and ending with grand nightly performances. The festival’s presents music with roots and identity in the traditional and cultural content and the vastness of the world’s cultural and ethnic diversity in the art of music and dance. The festival holds evenings of concert performances over on two outdoor stages, the Jungle and Tree Stages, which will alternate without any breaks with around 20 bands, each one distinctly unique from each other and yet playing seamlessly after another like a quilt stitched together, or a string of beads on a line, creating an incredible experience for the audience. The indoor Theatre Stage is used for smaller chamber-style performers, giving a more intimate and classical feel for a seated audience. In the day, the mini sessions alone, which are held throughout the festival grounds in the traditional houses and halls of the Sarawak tribes. This year, two strong South African authentic renditions by Abavuki and Kelele will take stage at RWMF. Abavuki, which means ‘Wake up, early birds!’ in the Xhosa language, provides energetic and multi-instrumental performances which mix traditional rhythms of the South African people as well as more modern styles of kwaito, samba and jazz. Founded in 2001 and based in Cape Town, Abavuki’s high-energy afro-beat music reflects their optimistic outlook on life, music-making and the resilience of the South African people. Their albums are Decade, Live in China and African rhythms. Watch this high-energy and highly rhythmic band perform Pata Pata at Afrkafestival. Kelele is a minimal-instrument band with their voices as the focal instrument. Keeping traditions alive with their melody and harmony, Kelele maintains the age-old African oral tradition of storytelling through song, passing on history, folktales and lessons in life over generations. The melodic storytelling will be accompanied by these traditional instruments - the mbira dzavha dzimu (the finger piano), the uhadi (the traditional bow instrument of the AbeXhosa people), the umrhubhe (another bowed instrument) and the talking drum of the Nigerian Yoruba people. South Africa is a country on the southernmost point of the African continent, with a multi-ethnic population with diverse language and culture. Watch Kelele perform The Lion Sleeps Tonight, a track written in 1939 that was later popularised by The Lion King. Also known as Wimoweh, the song was first composed in Zulu. Original composer: Soloman Linda with the Evening Birds. This year marks the 20th edition of the Rainforest World Music Festival and will kick off with three days of all-day entertainment. The nightly open concert performances take place on two stages. During the day there will be musical shows that are more intimate and demonstrative where audience can join along using various creative expression. Here is the full performer lineup of the Rainforest World Music Festival 2017. Meet the performers in the interactive workshops that take place in the afternoons. What’s more, there will be health and wellness activities, food and craft markets, and traditional games. Sarawak Cultural Village, the venue of the festival, is popularly known as the ‘living’ museum which takes up a sprawling 17 acres of land at the foot of Mount Santubong, roughly 35km north of Kuching. Watch what typically happens at the Rainforest World Music Festival, presented by Gaia Discovery. Festival tickets and updates are now available online or from the ticketing agents listed at www.rwmf.net, with pre-sale prices available until July 13. RWMF is organised by Sarawak Tourism Board and supported by the Ministry of Tourism and Culture Malaysia and Ministry of Tourism, Arts and Culture Sarawak and endorsed by Tourism Malaysia with Malaysia Airlines as presenting sponsor.